Awesome cars, check! Flavorful cigars, check! Music and libations, check! 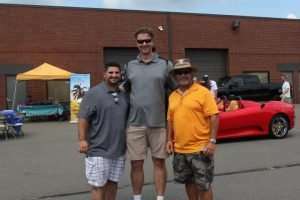 Not just another Saturday on Red Rum Drive, but rather home to the August Cars and Cigars event at none other than Automotive Quality Solutions. 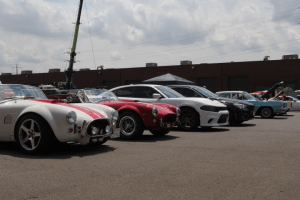 The event drew car enthusiasts from far and wide to show off their amazing cars, to walk the aisles, and to be able to get up close and personal with the owners and talk shop, as it pertained to their showpiece vehicles of course. 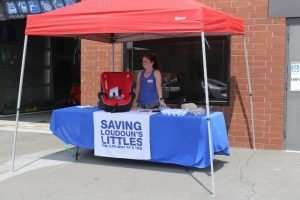 The proceeds from the August event benefitted Saving Loudoun’s Littles – One Car Seat at a Time. This organization promotes car seat safety awareness and inspections across Loudoun County. In addition, the nonprofit provides education to caregivers about the proper installation of car seats for the age and weight of the child and the vehicle it is being installed in. 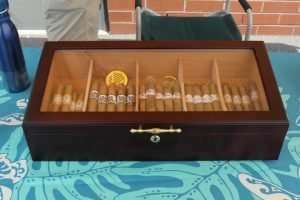 Arianna Wright, the 16-year-old founder of Saving Loudoun’s Littles said, “We are thankful to the organizers and participants of the Cars and Cigars event for helping us to raise much-needed funds for our cause. Every dollar we collect is used to either train new technicians or purchase seats for deserving families.” More information about Saving Loudoun’s Littles and a complete list of events can be found on the group’s Facebook page here. Many prizes were awarded throughout the day with the top prize being an Opti-Coat Pro Plus, donated by Automotive Quality Solutions. This service offers permanent protection for paint, wheels, hard plastic, chrome and aluminum trim. For more information on Opti-Coat click here. 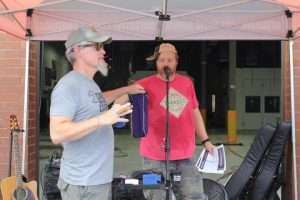 Musical performer and Loudoun County resident Ted Garber kept everyone in the rockin’ spirit with his “Blues Americana Rock” music set. 12 Tables Fine Dining and Grubbers Food Truck were on-site to feed the hungry car enthusiasts.